For other meetings in Chapel Hill NC, Durham NC, Henderson NC, Hillsborough NC, Norlina NC, Oxford NC, Roxboro NC and surrounding geographic areas, please visit the New Hope Area’s website. For meetings in Apex, Cary, Fuquay Varina, Knightdale, Nashville, Raleigh, Roanoke Rapids, Rocky Mount, Tarboro, Wake Forest, Wilson, or Zebulon, please visit the Capital Area’s website at or call their phoneline at 877-590-6262. For assistance in locating meetings in other parts of the US or worldwide, click here. You can view and download many of our information pamphlets and NA booklets in many languages. 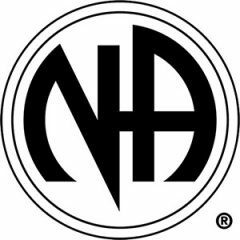 For general information on Narcotics Anonymous, literature purchases, downloads, or pretty much anything else having to do with the fellowship as a whole, got to the NA World Services website at www.na.org.